And I know that Got that in a Company. but why wait writed at the game ideas site. if like to play the game. Go here and go by the instructions. and they talk bad things in others. Things so you gotta be carefull what you hear. they don't talk in private. They talk around everyone. Just keep your distance from the bad language. I think there is a tool so you can block bad language and rude language. anyway the game was very good. I can always go back there. But i had this on my eyes. Sonic and Baby Greed game. there is sonic 24 birthday. coming plus and trying to do something. If I tried to secede one character will come to life. Tomorrow probably be a busy day like today. if it doesn't make Dreamcast 2.
if there's energy that flows from the worlds. he can fly fully. Baby cabela can fully. But not in the sky. It can only be three feet from sky floor. That's not high. You can only be so close to the floor. But using power up fly wings you can fully fly. As high as you can go. need to look for a black and white picture. I'm thinking about. Adding the final character. But this is the last character of the game. of the. Sea. Last Character this character cannot be unlocked. But it will be in counter by Sonic The Hedgehog. This music game OSL World Challenge awesome. on the video Game they will Show Greed The Hedgehog. Reversing Time and the new rising will begin of the new Adventure for Sonic And Baby Greed. i'm making the best game ever. This page makes no sense to me. It isn't understandable! The grammar, the spelling, everything! For example, "OSL All Tracks of the World Challenge of the dancers and the music Tap Tap Online☀." what does that mean?! didn't use the google translator. it will help you understand. i use ginger. One, are you Jorgebunny? Two, I don't friend strangers on FB. Three, just like IsGamer13 always says, your writings are not understandable! I see lots of "Edit Edit" on the headings. Did you copy and paste this from an another website or wiki? Lastly, what is the correct title? Sonic and Greed Avengers GX: The Rise of the Chaos Fusion? I will rename the page. P.S. : By Ginger, did you mean Ginger Software? yes and fix my miss spelling. And. Grammar but some of the phrases are not correct. And it doesn't match the story line. and i also use Proof Reader http://www.paperrater.com/free_paper_grader and to fix the https://wordpress.com/ to space out the words. ^_^ it works too. Tails And Baby Cabela is the second story mode. some story mode will have to way team 3 way teams and 1 way teams story mode. 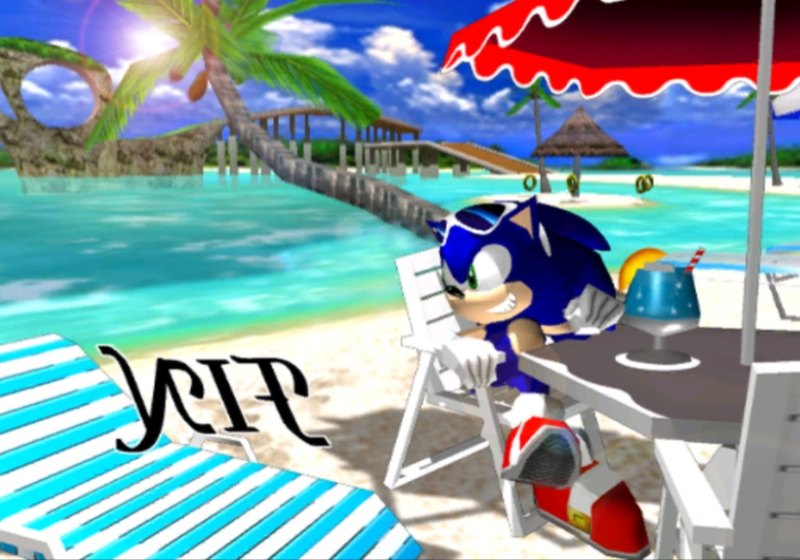 i'm making the scenes of the story mode just like sonic adventure dx. they will be a Night Pinball and the Same music but even better Online and Offline Challenge. Some of the Characters. Are in different Places that doesn't meet up with. Night and Baby Greed and Baby Cabela and Baby Gaius Baby Star Story Mode of Dreams< these is were you stop the Nightmare. Nightmare bosses are on the top the last one is Cream Baby Greed worsest enemy and feared of her. and the last 2 are Reala and him King of Nightmare Zare King of Nightmare Dreams. The Destroy of good Dreams. The Last Final Story Mode. Queen Jessica won't be a character to be played as she will play as another sonic and baby greed game. she will be around in the water like cream in sonic dx for pc. exactly like that. and it is Extremely Hard to get her. Lots of missions will be involved with her. ok now the last final story mode. But Bonus Story Mode and (adventure for The baby Team by Baby greed Team Baby Team). first the boss Story Mode. sorry some one deleted my front page and i had to replace it but. Thats why its like this. man i hate explaining as i haven't got to that yet. Room there are humans in room kids baby and adults. Sonic and Baby Greed and other heroes.will be challenging Baby Kid and adults. You got to dance your way to the top Rankers. They're very good dancers and they know how to stay on Riddim of the Music/ Song. With out losing a beat the top rankers. Is a baby kid in adult. they move with the music they grew with the music. And you can also dance to E102 Music. See E102 dance before you. The OSL. Be so. Awesome ^_^ woo ok ok move on. Jorgebunny.zare, I renamed the page. Now, I'm gonna fix your typos. Edit: I am creating a rewrite of this page here. Oh thank you if there's something my grammar or Ms.spelling, you can fix that if you like. http://www.4shared.com/video/OZgP_dXSba/VID_20150427_170736.html? when you get all the Completions and 100%. this one will be built one day in the future of this. Time but he came deeply from the future Searching to destroy one hitchhog Sonic but he came Baby Greed. Banned way into the future. How do I put this back up there on that page I only got only got one in the middle? Hidden Base This one is also to hear. inside and out about the base commander shorts. this basis been in the past.They built it on the mystic ruins to release a barrier to protect mystic ruins from zare attacks and poison. that was their home now. on the mystic ruins. there was no entry to this world of the city or anyplace out there. and they have to get pass knuckles. they always have to shoot. a sleep is called a sleep gun. to see the Master Emerald. i will be begin back on the blog. and some of this project begin. Still have the vacation see soon bye. it takes time to progress. the number specs of one day at a time. i say they're jealous. But they seem to view it anyway. well i guess i have to start over. please remember to keep a recovery of these. well please try to block people from removing stuff when he's not there. to confirm to remove in a wikja ok.
You don't have to start over, you just have to do the history edit comparisons, and do a lot of copy pasting and some editing to remove a few artifacts that will be popping up. I can see if I can find one of your subsections in their latest appearance before being removed and see if I can restore it for you or something, let you see how it turns out. I'd be for bringing back the full article but I am seriously mentally drained and we have a windstorm so I am more likely going to fall asleep or lose my Internet connection for the night at some point here, haha. However yes, try to always keep back ups, or do what I did and make your own wiki specifically for your own stuff so you can stay in full control of it. Heck, you can even store it at my wiki (Creativity Wiki ) and be safe in knowing I won't edit it unless you want me to for grammatical fixes or anything. not you again.? what do you mean welcome? I see you have a "help needed" template listed. What exactly are you looking for help on? I am seeing the page as being essentially empty (although that may not have been the case in the past and may be going through a revision) - does this mean you are looking for input from other contributors such as characters and the like or something? somebody came to my project and remove everything from the front page. i was wonder if you can turn back the clock. and restore it where you last saw it. Well looking at the history seeing there have been edits since then there would be no way to undo those revisions or roll them back now (unless they have changed the wiki coding), but it can be painstakingly added back in by viewing each edit in comparison to another in-turn. The peace part of the game you shared here it’s looking good one that is having the important part of this game. This is very good from you that you are taking the different http://www.essayrush.net/ topics. Hope you will share more.